Hannah's heart beat with a mother's love long before she was blessed with a child. 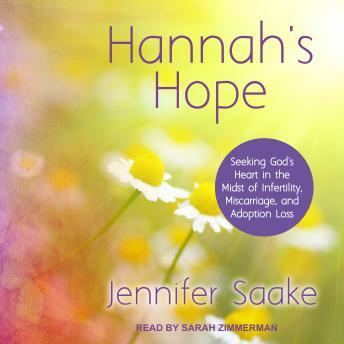 You can meet Hannah in the pages of 1 Samuel, chapters 1 and 2. The Bible says she was 'barren,' and we know she suffered heartache, anguish, and grief because of her empty arms. Perhaps you do too.